Laguna agates come from the hills above a dry lake called Ojo Laguna, Chihuahua, Mexico. See these Lagunas! Just inside the initial agate layer comes a band of tiny holispheres, a dotted line around the agate which is unbroken. The soft white and violet bands eventually give way to a rich maroon center. 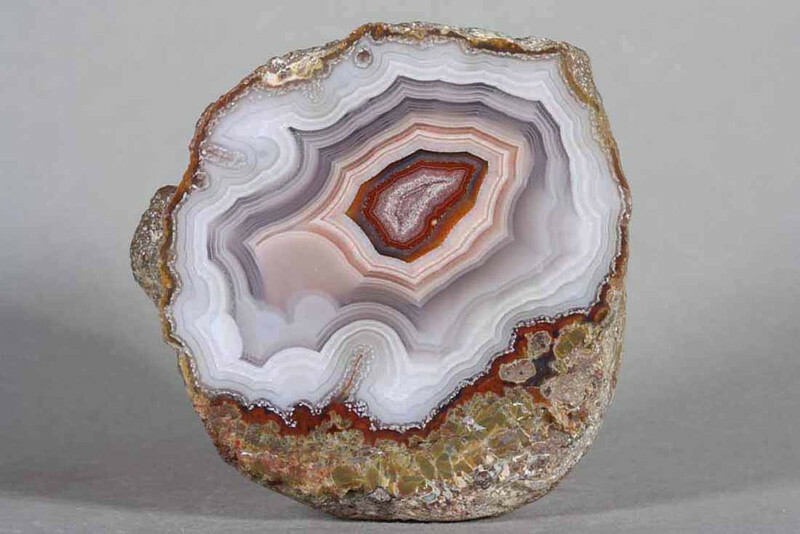 A lovely and perfect agate.